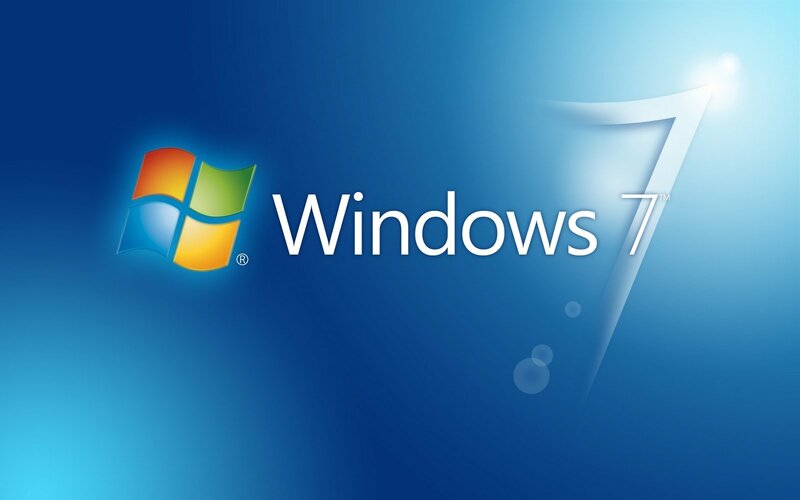 Our favorite OS comes in many flavours, but we believe Windows 7 is still the best choice. Here’s why..
1. Simple to Navigate : Windows 7 launched in 2009, and most of us have been using it ever since. This means we’re so familiar with how it works, we can practically use it with our eyes closed. Windows 8, however, is designed with touchscreens in mind. lf you use a smartphone you’re likely to be very familiar with swiping your digit over the screen to get the job done, but Windows 8 still takes some time getting used to – particularly because Microsoft has retired the Start button from the desktop view. Don’t let your familiarity with Windows 7 prevent you from learning new tricks, though. You’ll find a list of clever keyboard shortcuts that will save you a few seconds every day. 2. Great Community : Windows 7 is now the most popular operating system on the planet, with hundreds of millions of users. If you have a problem, there’s a strong probability somebody else will have had the same issue, and they’ll probably have asked for help in a chat forum for help, or even blogged about their experience. This is great, because you can tap their collective wisdom by merely typing your problem into a search engine. Just enter something like my mouse won’t work or Windows 7 won’t read my Metallica CD, press [Enter] and your screen will be filled with links offering help and advice. 3. Easy to Repair : Windows 7 was great when it first appeared, and it’s become even better over time. That’s because Microsoft has spent the last few years ironing out the creases and catching bugs. Some issues have been cured with updates (Windows usually downloads and installs these automatically), whereas others need some input from you. Don’t worry, though – Microsoft has gathered together a huge number of walkthroug hs that are easy to follow and can help you solve a wide range of problems. To access this resource, visit Microsoft support and click ‘Windows > Windows 7’ to look for an answer. 4. Widely Supported : Drivers are pieces of software that sit between your PC and devices like printers and scanners. Their job is to let Windows control and communicate with these devices – without them, anything you plug into your PC would be effectively useless. Unfortunately, not all products have drivers for every version of Windows. You might be in trouble if you want to use a six-year old printer with Wndows 8, for example. This is rarely a problem with Windows 7, though – it’s the most popular operating system on the planet, so it makes sense for device manufacturers to support it. 5. Good Looking : Windows 7 is very pretty thanks to its Aero Glass interface, which makes the edges of windows look as though they’re made from coloured and frosted glass. If you go back to Windows XP when you‘re used to Windows 7, it will probably feel old and drab in comparison. Windows 8 might feel a little bland too, because Microsoft’s designers felt that designs that replicate physical materials were starting to look dated, and decided to ta ke a different approach. You can make Windows 7 even prettier by adding Aero Themes – collections of themed desktop backdrops with matching Aero Glass. Some themes even come with special sound effects. To experiment and maybe give your PC a makeover, right-click on your desktop, click ‘Personalize’ and then choose an Aero Theme to try it out. 6. Made for Media : If you’re ever bored, Windows 7 has the perfect remedy – Media Center. It tums your PC into a DVD player, CD player, TV (if you have a tuner card) and movie streamer, and is built into all but the most basic versions of Windows 7. To access it, just click ‘Start’, type Media Center into the search box and press [Enter]. Back in the days of XP you needed to buy a special version of Windows called MCE if you wanted Media Center, and although it was free when Windows 8 first launched, Media Center is now a paid-for option. 7. Fast and Efficient : Windows 7 is a very efhcient operating system. This means it uses relatively little of your PC’s memory and processing power; leaving plenty for your other programs. This is a stark contrast with Windows Vista, which was a real pack of stones on your PC’s back. You can see how much of your PC’s potential power is being used by pressing [Ctrl]+[Alt]+[DeIete] together. When a menu pops up, select ‘Task Manager’. You will then be presented with a series of graphs. The upper ones show how hard your PC’s processor ls working, while the lower collection of readouts show how much of its memory is being used. 8. Safe and Secure : When it comes to viruses and malware, Windows 7 is far more secure than Windows XP. If you’re using XP and an outdated version of Intemet Explorer, you’re an easy target for criminals online because older versions of IE contain security holes that have been fixed in later editions. Things will get a lot worse for Windows XP users on 8 April 2014. That‘s the day Microsoft will finally retire XP and stop producing updates for it, including patches for security weaknesses. This is great news for criminals, because any new Windows XP bugs they find and exploit won’t be plugged by Microsoft. Do yourself a favour – keep yourself and your computer safe by upgrading to Windows 7 before April 2014. 9. Better Battery Life : There are few things worse than a dead battery in your laptop. With this in mind, Microsoft added sophisticated power management features to Windows 7, which let you trade off things like system speed against battery life. There are no such features in Windows XP and power management in Windows Vista is very basic by comparison. To access the power management system in Windows 7, click ’Start’, type power options into the search box and press [Enter]. Select ‘Power Saver’ for the longest battery life. 10. Searches made Simple : We love Windows 7’s desktop search system. If you know you’ve written a Word document about a certain topic, but can’t for the life of you remember where you put it, Windows will help you find it in moments. Click ‘Start’, then enter a word or short phrase from the missing document into the search box. The more specific you can be, the fewer search results you’ll have to sort through in the end. In our example we know we’ve written something about Skype, but can’t remember where we saved it.Within seconds, we were presented with a list of documents and tiles in which the word ‘Skype’ is mentioned. These are organised into convenient categories to make it even easier to find what you’re looking for. You can even narrow the results by date or tile type. The Windows 7 search system knocks Windows XP into a cocked hat, because the newer OS is so much faster and more precise.